Wabash Marketplace, Inc. has partnered with the Wabash County YMCA and Wabash City Schools to launch a Community Garden at O.J. Neighbours Elementary School. Patrick Sullivan, executive director for Wabash Marketplace, Dr. Marvin Wright, a volunteer and YMCA staff helped construct two new raised beds to join one existing bed at OJ Neighbours. Wabash Marketplace, True Value, Hoffman’s Nursery, Brodbeck Seeds and Schlemmer Brothers Metalworks donated materials for the beds. At least 100 people are wanted on July 20 at the Y at 8 a.m. to participate in this month’s Walk with a Doc. This is a good way for your business to be seen at a community event wearing your logo or company shirts. Ford Meter Box sponsors this month’s WWAD. 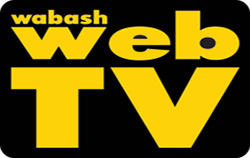 The classmates of Wabash High School are planning their 40th class reunion Kick Off and are inviting the community. They are renting the Eagles Theatre, Thursday, August 1 at 6:30 to watch the most attended movie in 1973, "American Graffiti.” Concessions will be available at cost. Following the movie will be a reception at the Cloud Room at Charlie Creek Inn. The County Farm Barn, located off Manchester Avenue, has been given new siding and had the roof repaired with the help of local contributors. The barn was in serious need of repair, as the Wabash County Farm becomes one of Indiana’s new testing hubs. “The barn needed to have something done with it or weather wise, we were going to lose it. None of the doors were on it and the roof had several holes. Weather was getting inside,” Susi Stephan from the Wabash County Soil and Water Conservation District told The Paper. Harry and Judy Kilmer recently took over ownership of the Old Kettle Saloon, which will become Harry’s Old Kettle Saloon. The name isn’t the only thing that is undergoing some remodeling. Kilmers are going to add a kitchen so they can start serving food beyond normal bar snack food. They will eventually have hamburgers, wings and other foods after Harry is finished adding the kitchen. “We are doing all this as soon as possible but we are not closing down the bar during the remodel,” said Harry. “I am pleased to announce Allen Insurance Agency as the Chamber’s July Blue Ribbon Business of the Month,” says Beth Alston, Chamber Blue Ribbon Chair. Chamber Business Owner Allen recently accepted the award. Allen Insurance Agency has been a Chamber member since 1985 and is an Independent Insurance Agency that offers a variety of insurance products such as: auto, home, farm, commercial, life, and health. Mr. Miracle is a Wabash County native and a graduate of Northfield High School. His team consists of Vicki Gray, Abby Gatchel, and Lilly, the office cat. “We strive to be a full service agency. 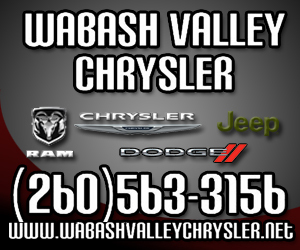 Vicki and Abby are very dependable employees who are extremely customer service oriented. We take pride in the level of service we provide our clients and the many relationships we have developed,” states Miracle. Indianapolis – On June 28, Peabody Retirement Community filed a voluntary Chapter 11 restructuring case in the U.S. Bankruptcy Court for the Southern District of Indiana. The filing was the result of extensive negotiations, culminating in an agreement with holders of a majority of outstanding bonds, which will result in an exchange for new bonds. This restructuring will permit Peabody to fulfill its goal of payment in full to all other creditors and enhance its financial strength to further benefit its residents and employees. Peabody’s Chapter 11 counsel is Katz & Korin, PC. The next Tailgate Food Giveaway is scheduled for Friday, July 12 from 11 a.m. to 1 p.m. at the Winchester Senior Center, 239 Bond Street in Wabash. The event is open to anyone who is a resident of Wabash County who needs food. Patrons should approach the Senior Center by entering Wabash City Park through the Hill Street entrance.